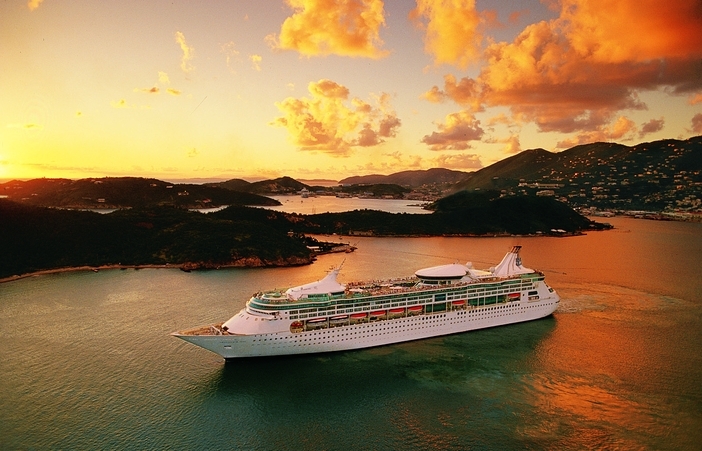 Romance and adventure await you when you spend time on a Royal Caribbean Greek Isles Cruise. The cruise line features several Mediterranean cruises that stop at various Greek Islands, visiting ports such as Santorini, Corfu, Rhodes or Mykonos. 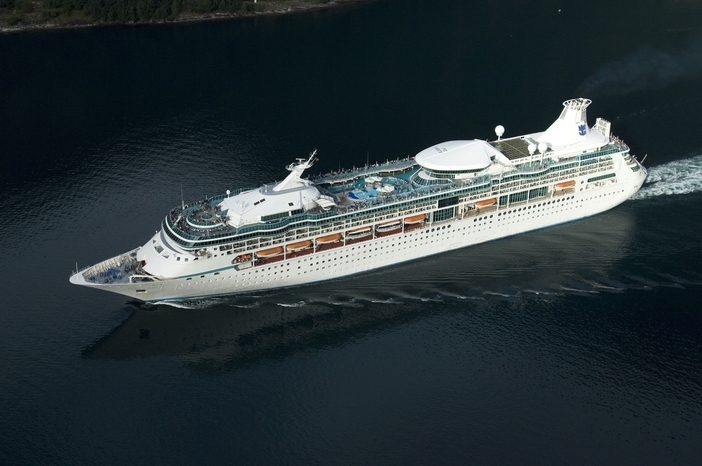 Rhapsody of the Seas offers cruise travelers 7 and 8 night roundtrips from the beautiful city of Venice. The ship follows a regular travel schedule from May through October 2018 and from April through November 2019. The vessel will depart from Venice on November 3 for a seven-day cruise holiday of the Greek Isles. Planned Greek destinations include Corfu, Greece, Athens, Mykonos, and Argostoli. One of the great places to see on this trip is the Achilleion Palace in Corfu with its mythical-themed statues amongst a plush, green landscape. 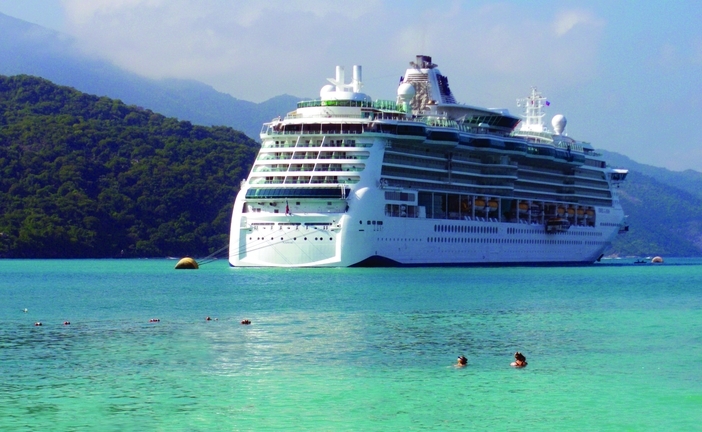 Jewel of the Seas features Mediterranean round-trip cruises that highlight seven-, nine-, and ten-night round trips from Rome. These cruise holidays take place from May through November 2018 and from May through October 2019. For example, the cruise ship embarks on a Royal Caribbean Greek Isles cruise beginning on April 23, 2019. Departing from Rome or Civitavecchia, Italy, the ship will spend one day at sea before arriving in Chania or Crete, Greece on April 25, 2019. 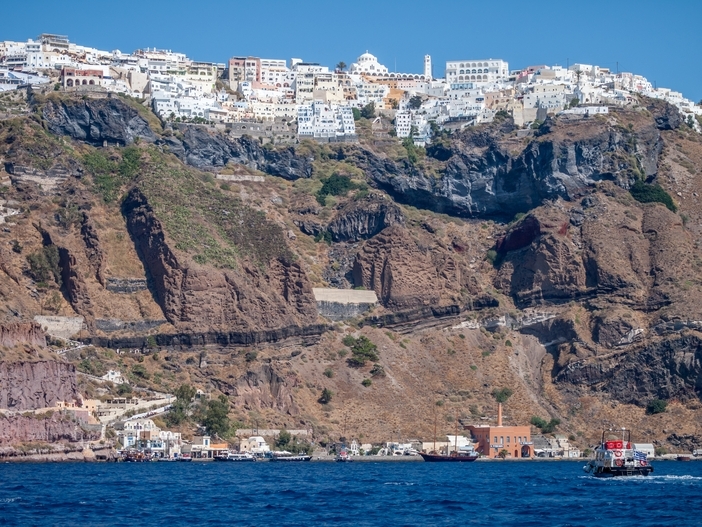 After this stop, the ship heads on to such ports as Mykonos, Rhodes, Santorini, and Athens before stopping in Naples and returning to the arrival port in Rome. Another Royal Caribbean Greek Isles cruise, on the Vision of the Seas, will embark on 12-night cruise trips from Barcelona, beginning July 2018 and running until October 2018. The same ship also will feature 2019 cruises from May through September. A cruise from the departure city of Barcelona will leave port on July 1, 2018. This cruise features stops at Monte Carlo in France and Florence and Rome in Italy. 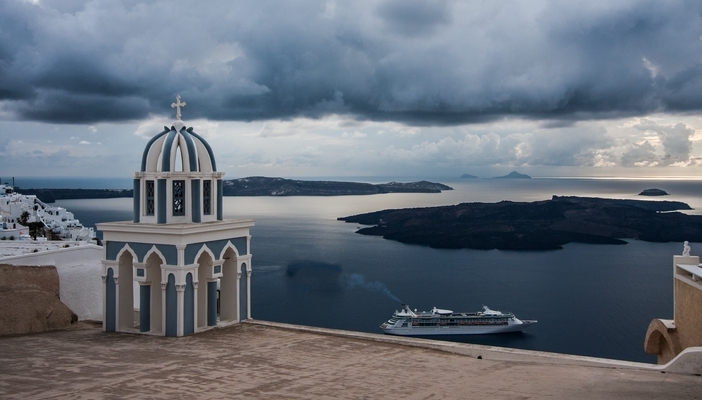 After these stops, the ship heads on to stop at Greek destinations such as Athens, Mykonos, and Santorini. The vessel will visit Valletta, Malta before heading back to Barcelona. Probably the island that features the best scenery on a Royal Caribbean Greek Isles cruise is Santorini. That is because you can enjoy breathtaking views from just about anywhere on the island. Picturesque towns seem to cling to majestic cliffs and the caldera is filled with shimmering turquoise water. 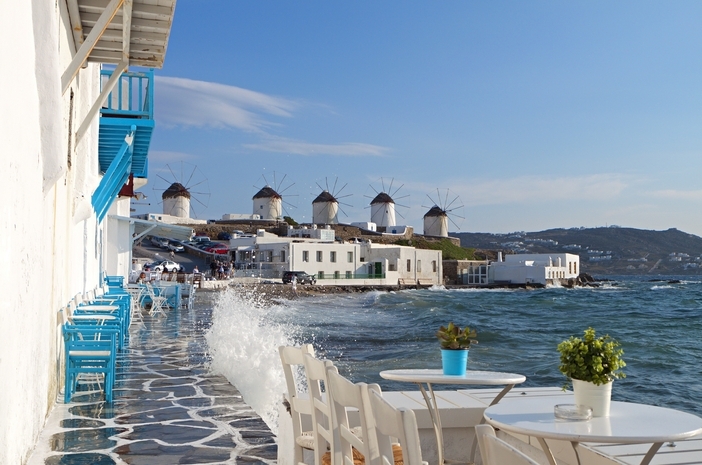 If you love water sports, you will appreciate the offerings on Mykonos. Showcasing iconic windmills and whitewashed homes, the island is as inviting as it is fun. Guests can visit the ancient ruins of Delos or satisfy their appetite at a Mykonian bakery. Another Greek cruise stop is Athens, the capital of Greece. 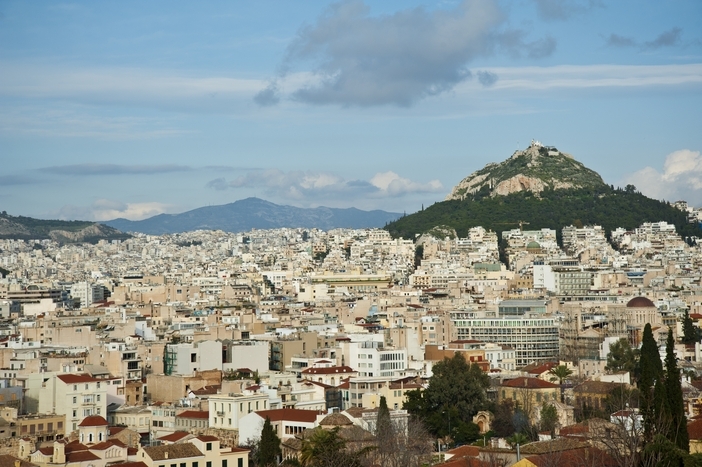 The city is still surrounded by famous historical monuments and ancient landmarks such as the Parthenon and Acropolis. If you want to pick up some souvenirs on your Mediterranean and Greek cruise holiday this is ideal location. The largest of the Greek Dodecanese islands, Rhodes is famous for its ancient ruins and lovely beaches. The fascinating island features an Old Town, which takes you far back in time to the Crusades. Now a museum, the Palace of the Grand Masters will take you on a journey of the area’s history. 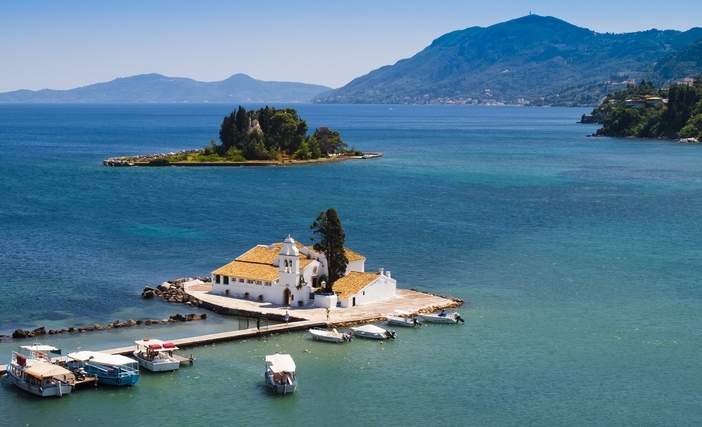 Corfu is an island that is in the Ionian Sea and located off of northwest Greece. The resort-friendly island is home to sites such as Mount Pantokrator, Palaiokastritsa, and the Achilleion. Snorkelers like visiting the beaches and waters of Paleokastritsa while Achilleion, a 19th-century neoclassical mansion, welcomes history buffs and gardening enthusiasts. The seaside town of Katakolon is located in western Greece and faces the Ionian Sea. 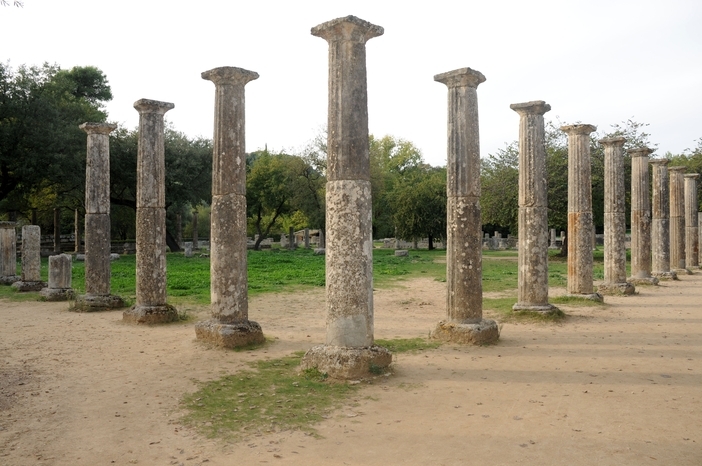 Its claim to fame is the ancient site of Olympia, the place where the first Olympics were hosted and played in the eighth century. Enjoy the breathtaking views and sample the local wine in this idyllic enclave. 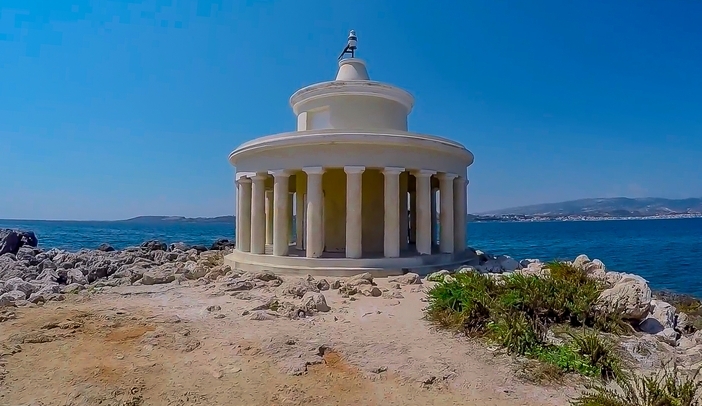 Situated on the Ionian island of Kefalonia, Argostoli is the perfect place to sit and drink coffee at the local café and watch the passersby. 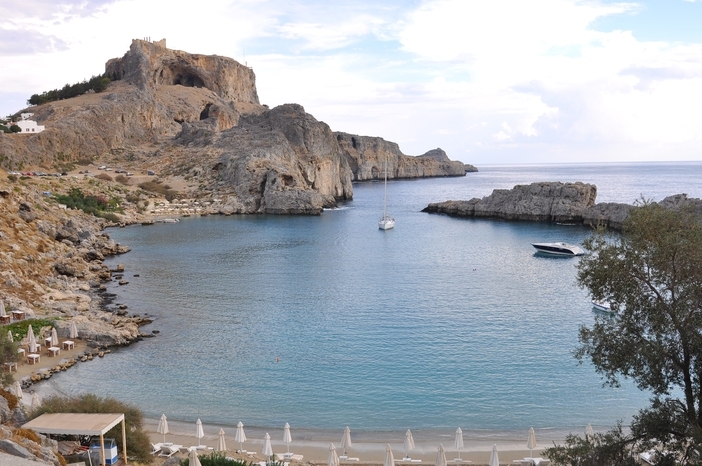 Some of the featured sites include the Makris Gialos Beach and Bell Square. If you are seeking fresh seafood and some of the most pristine shorelines in the world, you cannot overlook the benefits of booking a Royal Caribbean Greek Isles Cruise holiday. A Mediterranean holiday that features Greek island destinations will be an adventure you will never forget. Book a cruise now with your travel agent or make a reservation online.